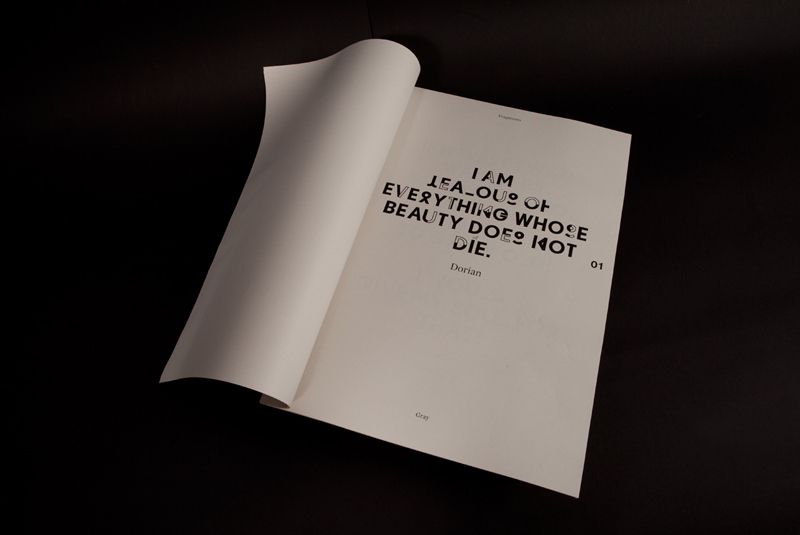 Paul Leichtfried – Interview — ligature — Switzerland-based online publication for design, culture and visual creation. 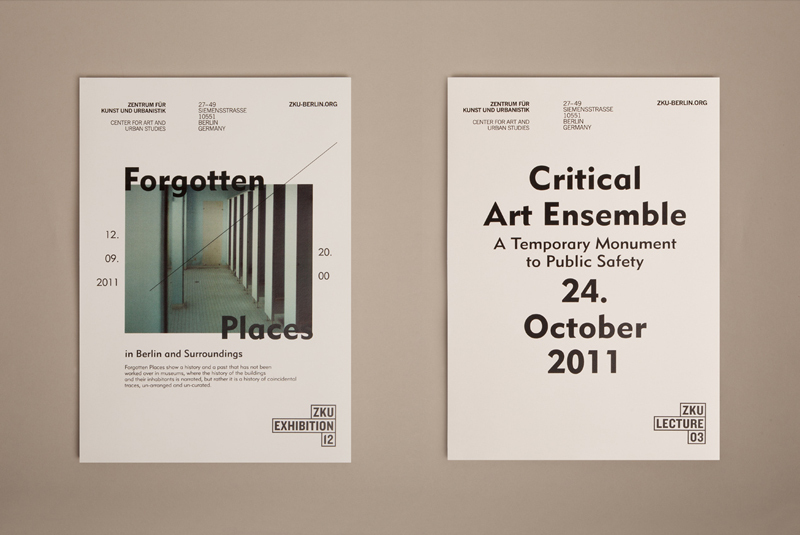 We are pleased to present the Austrian graphic designer Paul Leichtfried. 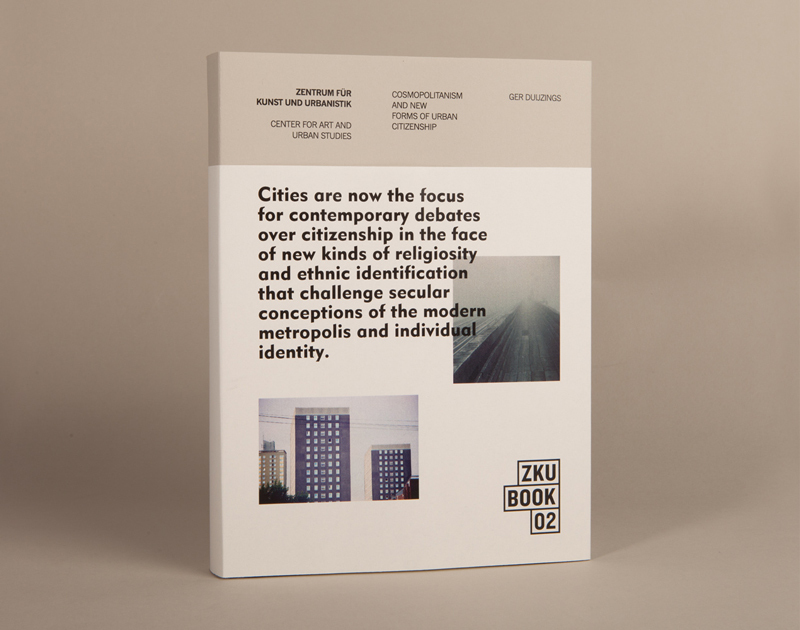 He talks about his background, his experiences in international agencies and explains some of his projects like “Fragments of Gray” or the identity of the Refugee Council Berlin. He’s now working as an art director for a Vienna based agency. Hello Paul, how are you ? Thanks I am fine, enjoying a lovely sunny morning with a cup of coffee. 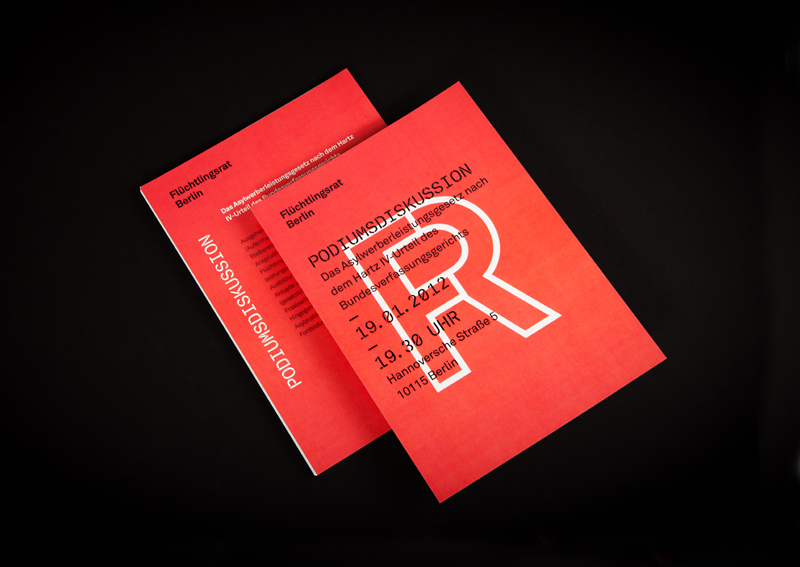 I am an Austrian graphic designer originally from a small town in the Austrian Alps. 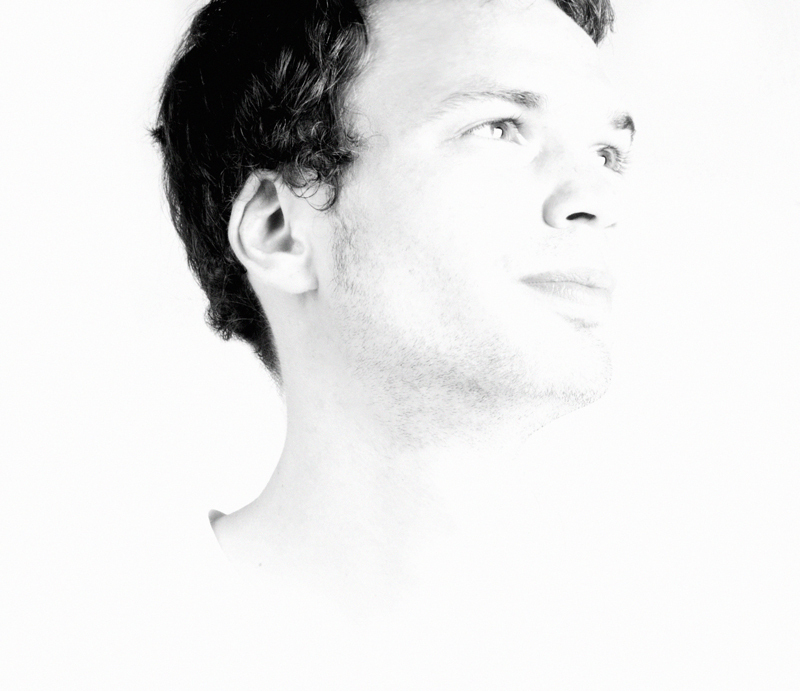 I studied Information Design at FH Joanneum, University of Applied Sciences in Graz, Austria. After doing a semester abroad in England I gained my first work experiences in a small studio in London. During my last semester I had to do an internship. I decided to go to Monterrey, the third-largest city in the northeast of Mexico. There I worked for a small design studio called “La Tortilleria“. It was a great experience – cultural and personal. I think it’s very important to go out of your country and get to know new people, places and ways of living/working. It really broadened my horizon and developed my skills. 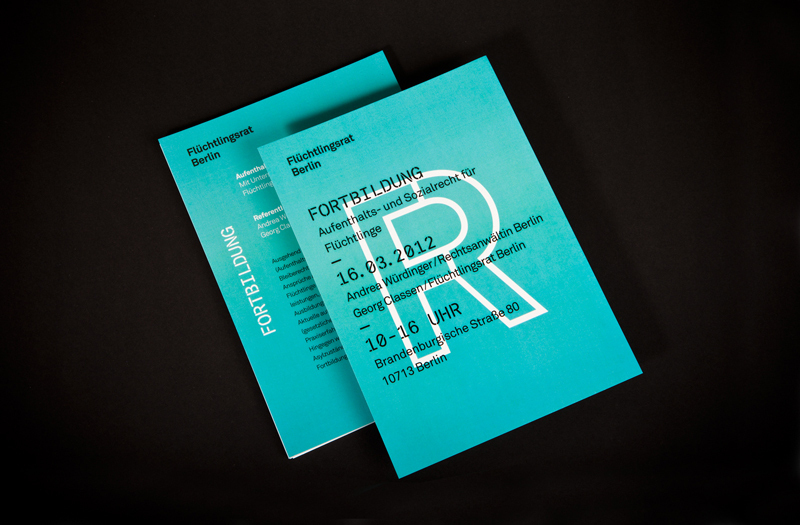 After working half a year for the Barcelona based design studio Vasava I moved to Berlin. 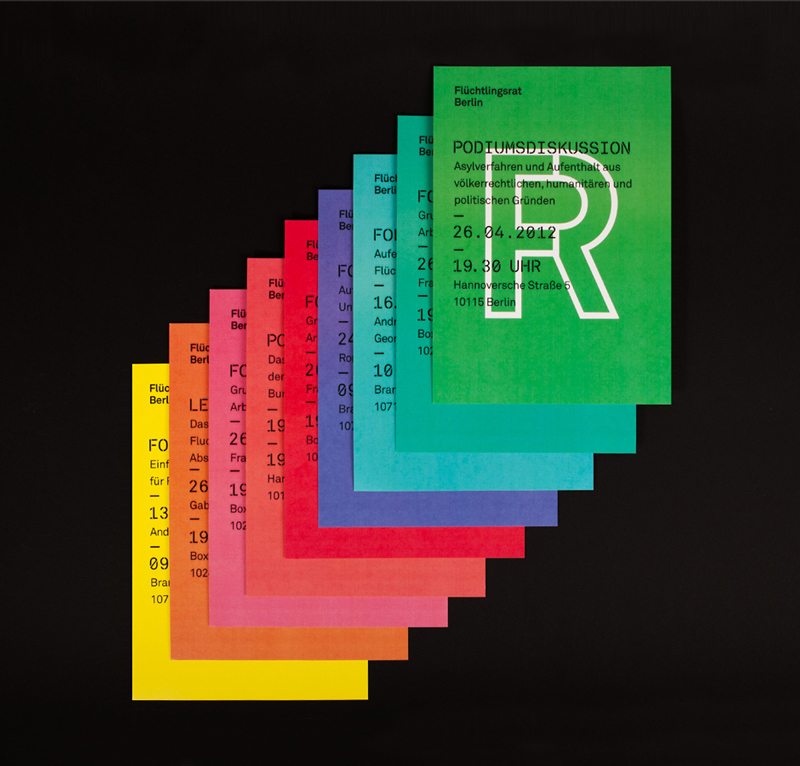 I studied a MA in Visual Communication at the Berlin University of the Arts in the class of Professor Fons Hickmann and worked as a freelance designer for several design studios. Where is your studio based and what do you like about this place ? 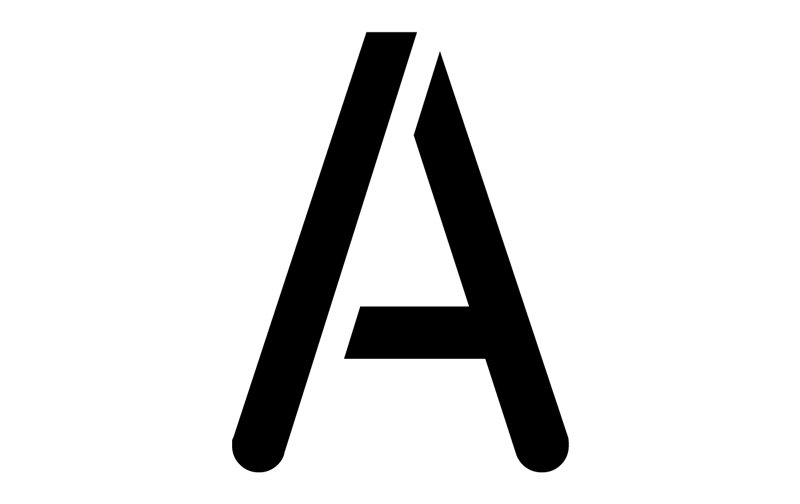 At the moment I work full time as an art director for a Vienna based agency. It’s based in a former factory building in the 12th district of Vienna, a quiet working-class neighbourhood. It’s not a hip place to be, but I like the unagitated atmosphere. Can you tell us more about your background and approach of graphic design ? Studying at both, university of the arts and university of applied sciences I got to know two different kinds of education. At art school I learned to be critical and question everything, whereas at FH Joanneum I just briefly touched a lot of different disciplines and subjects. In the end I picked the best of both worlds. Also the fact that I have been working in various studios around the world, I would describe my background more international. 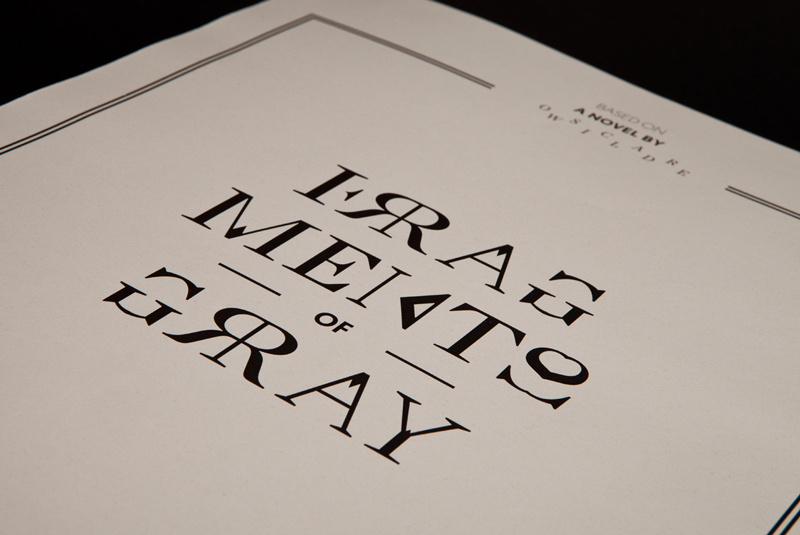 You created a mirrored typeface for the “Fragments of Gray” project. What was the idea behind and can you tell us about the process ? 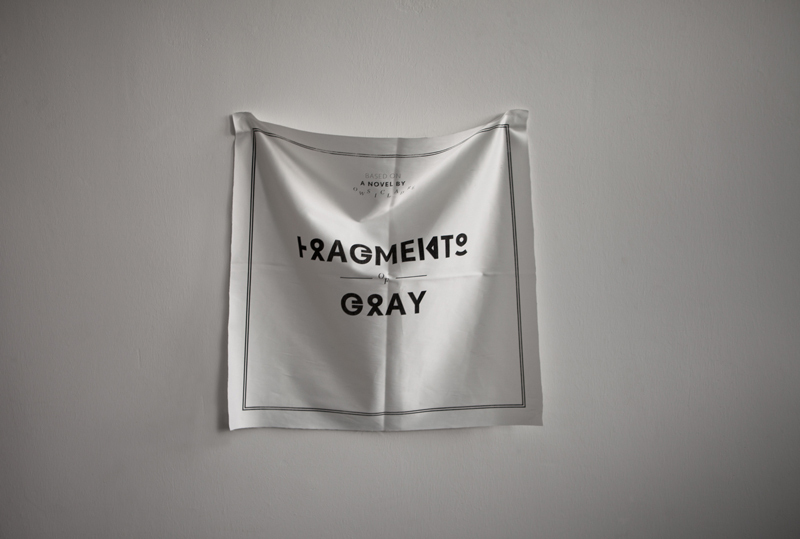 “Fragments of Gray” was realised as part of a course at the Berlin University of the Arts. The starting point was the book “A Lover’s Discourse” by the French literary theorist and philosopher Roland Barthes. We had to choose one chapter of the book we wanted to work with and I decided to work on the chapter “Narcissism”. During my research I came across with the “mirror stage” concept of the psychoanalyst Jacques Lacan. Briefly summarised, it describes the development when an infant recognizes his own mirror image for the first time and develops self-consciousness. 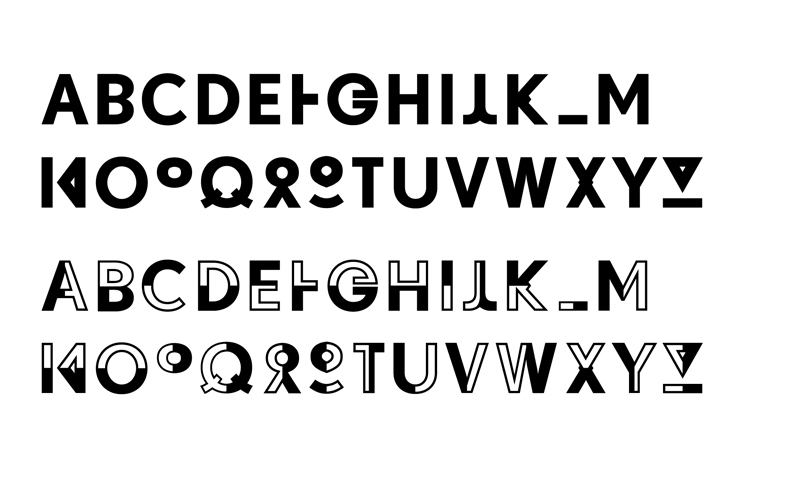 I created a mirrored typeface where every letter reflects in itself. 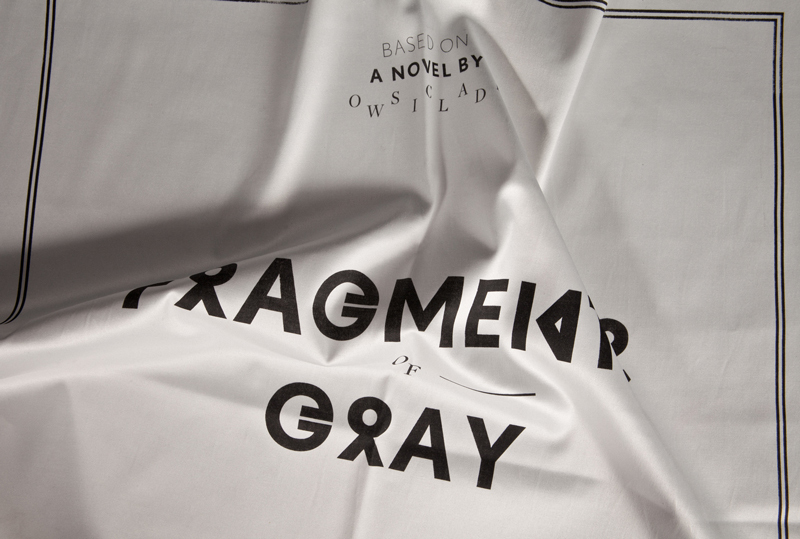 This typeface was used for the publication “Fragments of Gray”, a fragmentary story about the novel “The Picture of Dorian Gray” by Oscar Wilde. 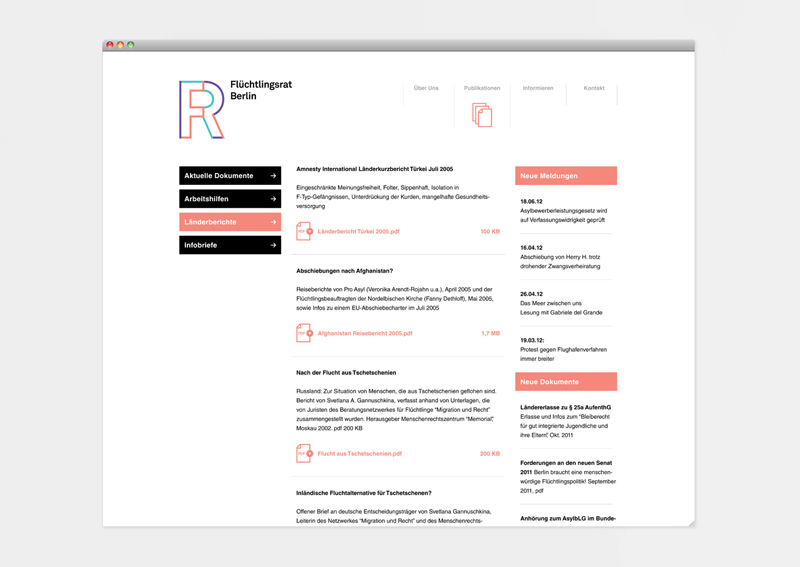 Can you talk about the Refugee Council Berlin (Flüchtlingsrat Berlin) identity project you did ? The Refugee Council Berlin forms an interface between politics, the public and committed organizations with the aim to improve the living conditions of refugees in Germany. 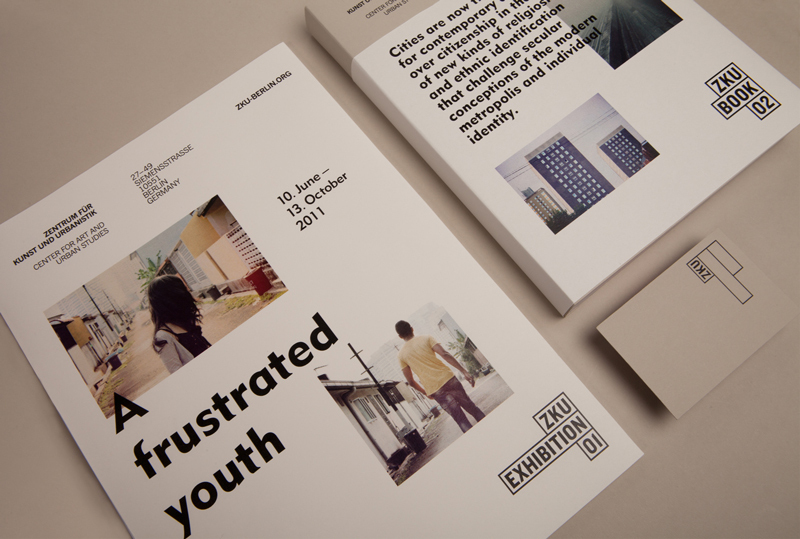 As part of my master’s thesis I worked together with the organization to create a new visual identity. 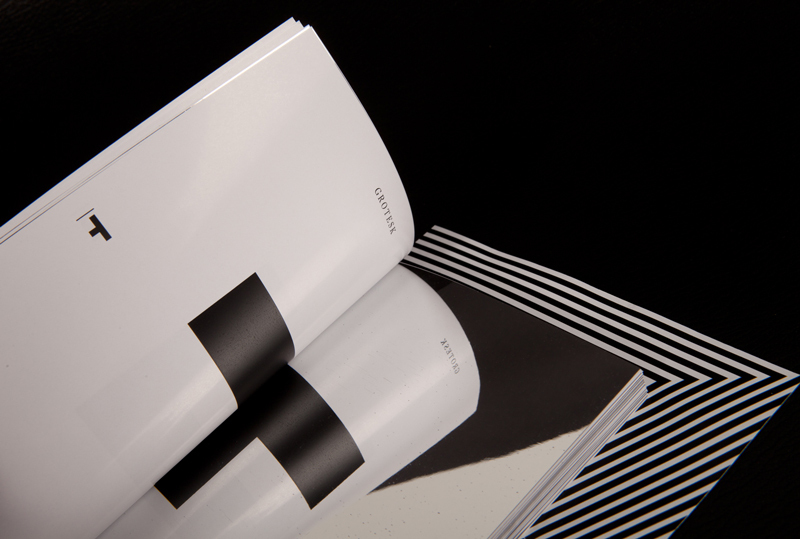 The ambition was to create an identity system which is visual powerful but also cost-efficient and as simple as possible. 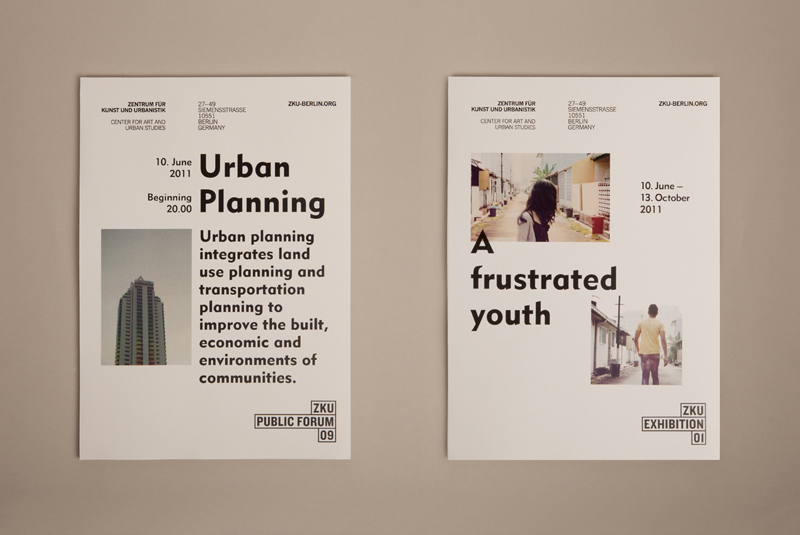 In the end the organization should easily apply the design on their own and raise public awareness about the refugee problem and the work of the organization. I created a flexible identity system, which consists of a bright color palette, a strong grid system and a special designed typeface. 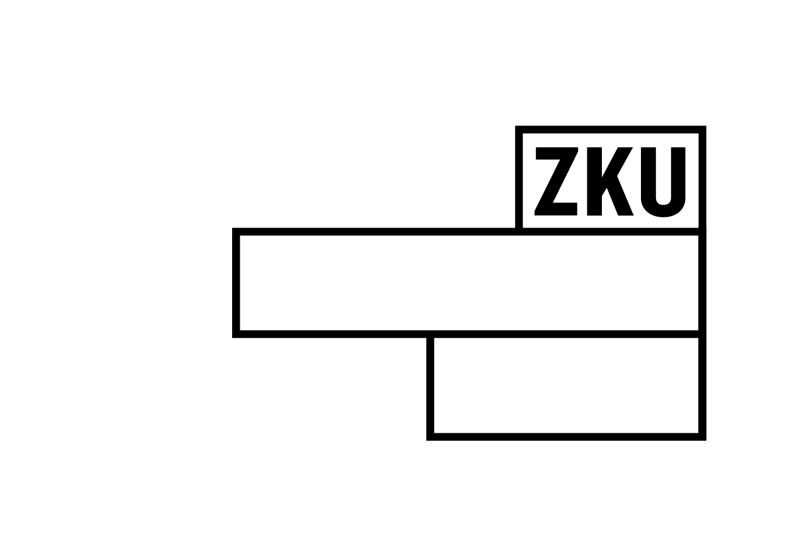 In the end the organization did not launch the new identity because of administrative barriers. It’s a pity, they really missed a great chance to communicate their message in a right visual way and reach a wider public. Is there any designer or movement you appreciate a lot ? I believe that inspiration is an essential part for our creativity. But you have to think outside the box and have to be curious about a lot of other disciplines and by the life itself. I appreciate a lot the work of the graphic designer Josef Müller-Brockmann and the product designer Dieter Rams. For me they have a similar approach: The reduction to the essentials. 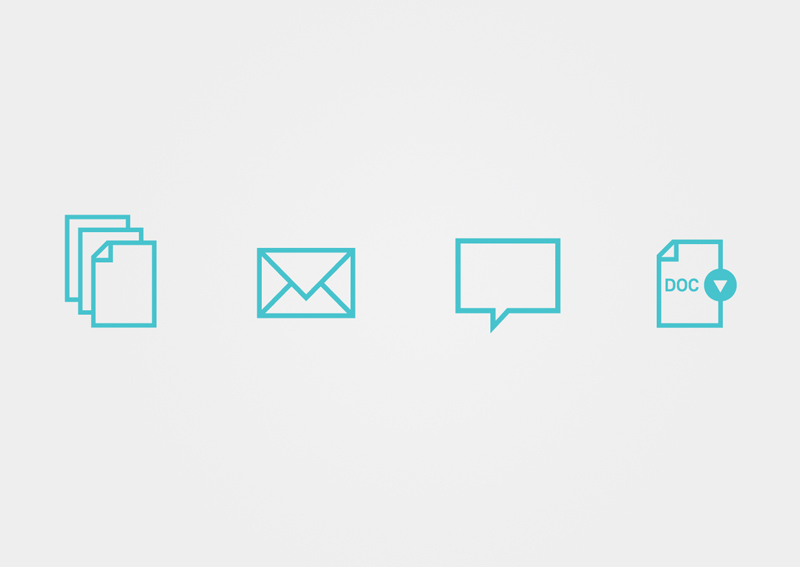 In a world overloaded with information it’s not about style, it’s about communicate relevant information. “Designing Programmes” by Karl Gerstner and “Rework” by Jason Fried and David Heinemeier Hansson. Working full time in an agency does not give you a lot of spare time. So I am enjoying life.